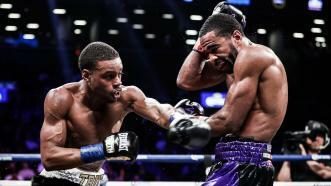 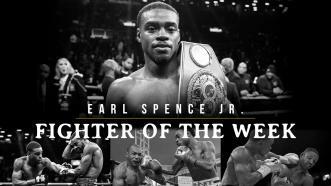 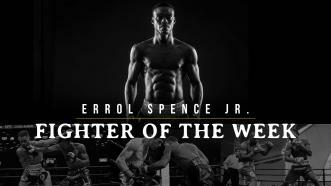 Editor's PickFighter of the Week: Errol Spence Jr.
Welterweight Champ Errol Spence Jr. defended his IBF belt with a dominant UD win over four-division titleholder Mikey Garcia in a blockbuster FOX PPV bout at AT&T Stadium. 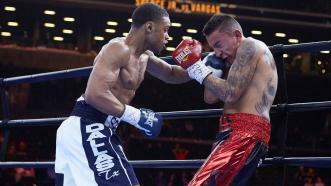 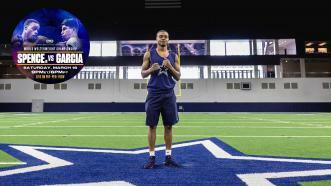 IBF Welterweight World Champion Errol Spence Jr. grew up dreaming about playing for the Dallas Cowboys, and on March 16, 2019, he will fulfill this dream from the boxing ring when he battles Four-division World Champion Mikey Garcia, live on FOX Pay-Per-View. 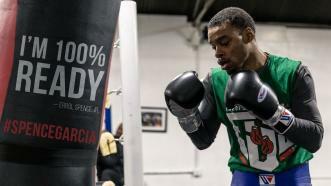 IT’S FIGHT WEEK! 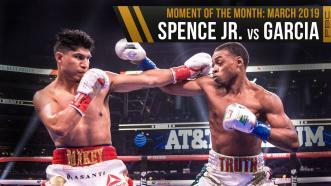 Welterweight World Champion Errol Spence Jr. (24-0, 21 KOs) takes on his toughest challenge to date in four-division World Champion Mikey Garcia (39-0, 30 KOs) this Saturday, March 16th, live on FOX PPV from AT&T Stadium in Arlington, Texas. 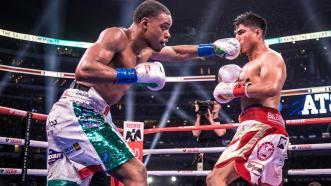 IBF Welterweight World Champion Errol Spence Jr. has a lot of respect for four-division champ Mikey Garcia, but come fight night on March 16th, Spence is gunning for an impressive win and pound-for-pound status.